Many users of Coolpad Note 3 reported that they are not able to use their 64 GB Micro SD card in their phone. Coolpad Note 3 supports 64 GB SD card then why this happens. Actually the reason is that most of the SD cards above 64 GB available in market are in exFAT format and Coolpad Note 3 supports FAT32 SD memory card format so it will not be directly recognized into the phone. So how can we use specific 64GB SD memory card in it? 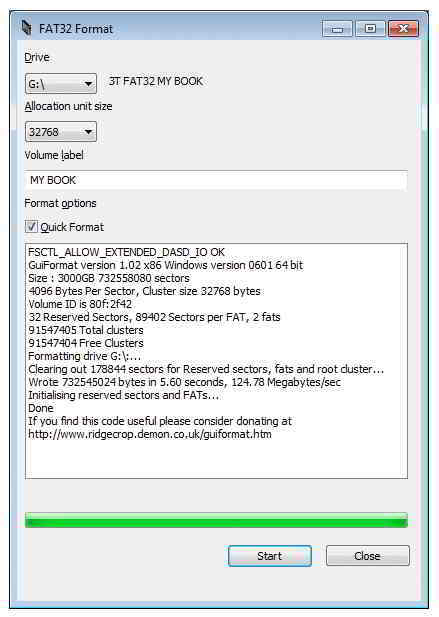 Below are the steps to format it into FAT32 format. First and most important step is to backup all my data from my 64 GB SD card,which I am going to format. 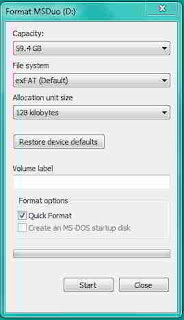 Connect memory card to computer using card reader.Right click on it and select Format,A format local drive window will appear,select the file system as FTA32 format, check the quick format and then click on start. 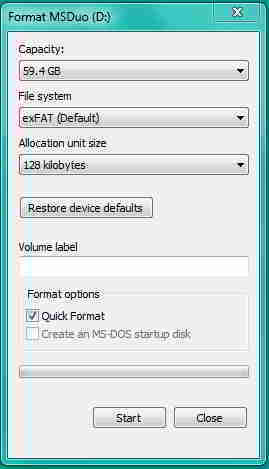 If your computer does not show FAT32 option as many windows OS does not directly allow FAT32 format above 32 GB,then go to Second method. Open this exe file and make sure that the MicroSD card is connected to the computer through card reader. Select the SD card location letter in the drop down menu and hit start. Wait for few seconds to complete the process, now you have successfully formatted the SD card to FAT32 format. 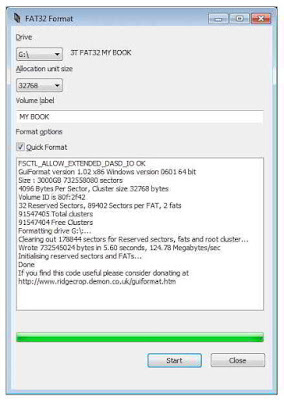 Open the properties of the SD card on your computer to see whether it has been converted to a FAT32 format. Now you can use it in your coolpad Note 3. Bro using this method we can't copy files size more than 4gb. And this method also can be used in any android device which support up to 32gb SD card to support 64gb. Then why there are fooling us by saying up to 64gb SD card. I know that brother,shared this because many users who don't copy files of more than 4gb at a time will find it useful. Try that and share here so that others can be benefited by your experience. What can be done dear if phone supports only 32GB external SD.FAT32 is the only option to use higher capacity Micro-SD with compromised speed and file transfer size limit. That's because of Microsoft. This partition type is still the easiest and comfortable one for every one, be it a layman or an expert as long as the speed and file size doesn't matter like playing videos or watching photos. Also this is the only partition type which is commonly supported by all popular OS(Linux, OSX, of course Windows, Chrome OS etc. ), so when we connect our SD card on to our computer we should be able to manage our files easily (layman too), without having to worry about the format like ext2/ext3/ext4. For a layman it would be very difficult to understand that, also it would be difficult for a layman to get stable reliable support of these kind of partition in OSX/Windows which are the common OS of any Laptop/Desktop. For technical people like us it would be very easy to say why not ext2/ext3/ext4 but not for a layman. And if it becomes difficult for layman them the popularity of Android would also go down. Hence the choice of FAT/FAT32. and I format it to FAT32. If it does not open even after formatting sdcard by second method explained above,then it is not supported by CN3. I also faces same problem for my CN 3. I uses Strontium 64GB card. any solutions for this ? Yes, did all that I can as suggested, but CN3 will not read the 64GB Micro SD Card either as external SD or USB Storage thru OTG. Dont get fooled. Its a false claim. Coolpad Note 3 cannot read 64GB card as per specs.They need to prove it otherwise and give us solution. I spent more money to get an 64 GB card! (32GB I already had). Normally don't use full expandable memory which they specified. we have to use only 50% of they declared expandable memory. this is for all mobile, tabs etc. This method tested with strontium x566 64 gb memory card. Please share your feedback if you find success with other sd cards as well. I want to save obb data in SD card it is possible. if not than please give me solution about it. IM USING 32GB MEMORY CARD WITH FAT32 FORMAT BUT STILL SHOWING UNUSUAL... CAN YOU HELP ME? Thanku.. thanks a lot.. its working smooth.. I have a 8gb SD card and my phone won't even recognize it is there. any help? I am grateful for your help... it worked like magical trick.... thanks Man!!!! Thanks a ton Rajaul, your 2nd method worked for my Samsung 64GB Evo Plus microSDXC UHS-I Card. thankyou so much. i've tried the second method with my cn 3. it works perfectly now. I am using 64 gb and im trying to format that by using second process as shown .But it is showing 'already used by another process'.Any body know what it meant? I have bought a 64 GB scandisk memory card. After inserting the card my phone says. " Blank SD card or unsupported format? Is 32 GB memory card support to Coolpad note 3. I can't pls help.